Two weeks ago it was announced that Warner Bros UK will be bringing back the Wand Display (in aid of Lumos) in the run up to the third Fantastic Beasts film – and we got to decide where. Birmingham, Dublin, Kingston upon Hull, Leeds, Manchester, Newcastle Upon Tyne, Reading, and Stoke-on-Trent will now form the final poll for fans to determine which four locations will host the installation next. 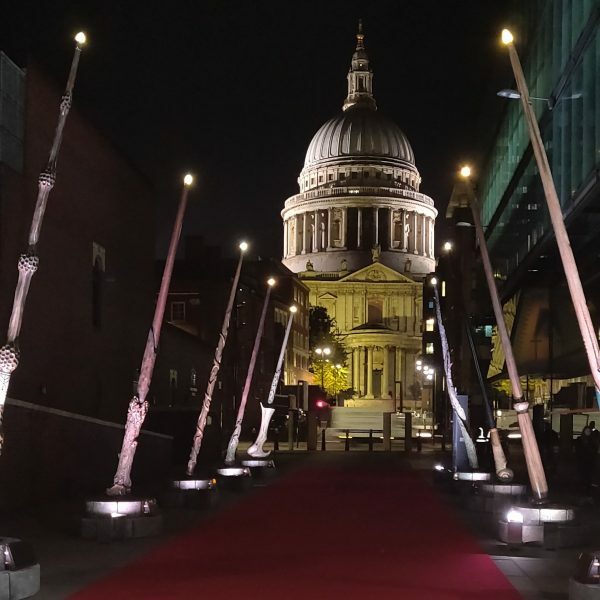 The final ‘Wands Ready’ voting process is now open and will continue through the summer, closing at 5pm on 26th August. The final four locations will host the installation in the lead up to the release of the third Fantastic Beasts film, beginning with the city with the most overall votes. The four tour locations will be announced on 31st August 2019. You can cast your vote for your nearest/favourite town via the website. Where are you hoping the Lumos Wand Display will go? Let us know over on Twitter!